Concrete floor: 20’ x 36’ x 4” with fibermesh reinforcement and zip-strip crack-control. Garage doors: 9’ x 8’ raised panel steel overhead door. Walk-in door: (2) 3’ x 6’8” PermaBilt® door with wood jamb and lites. Windows: (3) 4’ x 1’4” standard vinyl windows. Daylight steel garage buildings have a unique style that appeal to many of our customers. And beyond the obvious style lines, daylight buildings are also great for letting in natural light along the upper eave. 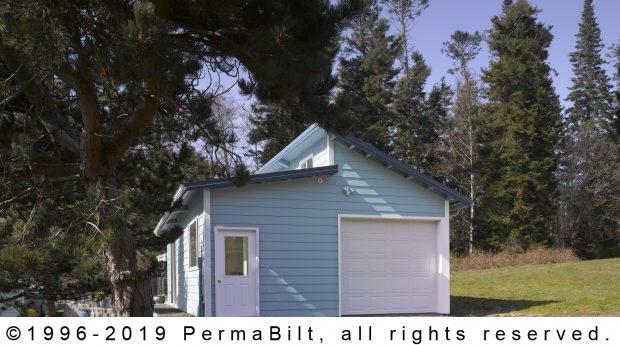 And that’s exactly what our Port Ludlow Washington customer wanted to do with her new garage. Additionally, she wanted to add a sliding door along the sidewall because beyond lining up with the morning sun, her building would overlook the Puget Sound. Other elements that she picked were a winning combination of accessories. She wanted a 9’ x 8’ raised panel steel overhead door and two walk-in doors with lites. 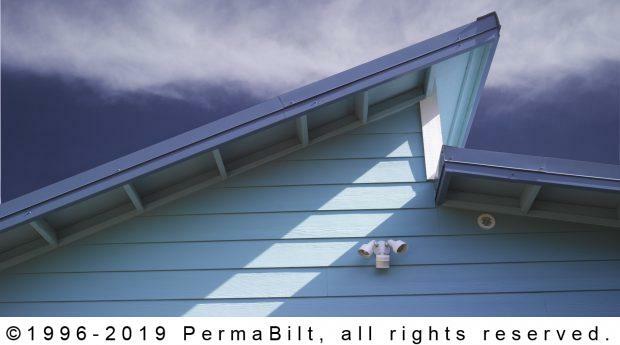 She chose HardiePlank® lap siding to match the residence on the property. 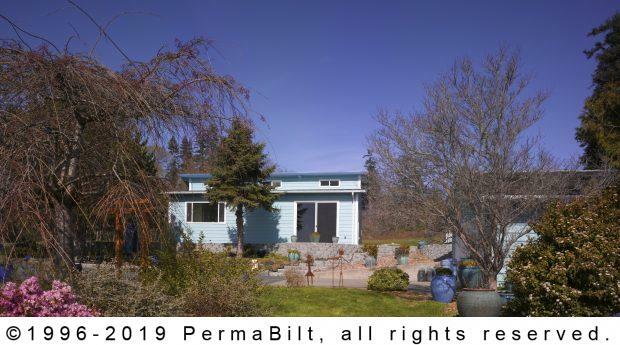 She painted her building blue, which went well with the white garage and personnel doors and to this day continues to enjoy this beautiful building with a view of Puget Sound.